The One Remix, also known as the One Mini 2 from HTC, has been rumored to hit Verizon’s network since the Mini 2 was announced earlier this month. 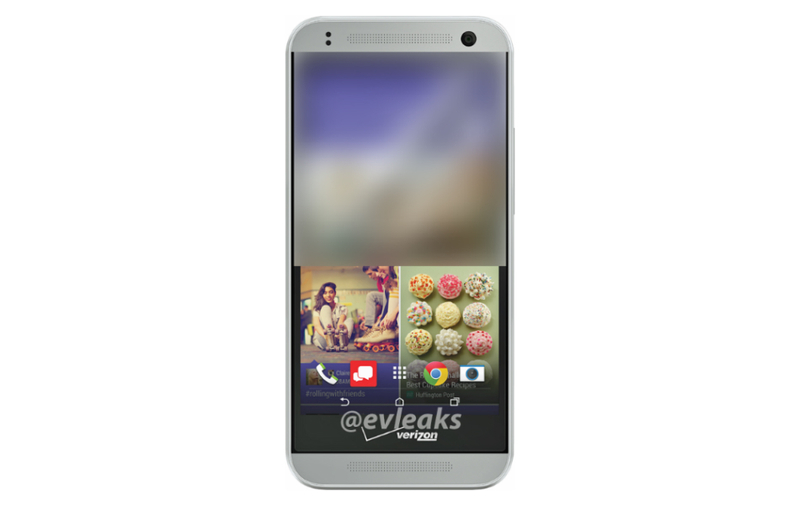 Today, a render of the One Remix headed for Verizon was leaked thanks to @evleaks. Let’s have a look at what to expect, shall we? The first thing we notice is that near the bottom of the device, there is a massive bezel. Usually, this is where HTC would place its logo. However, since this is Verizon, we see a tasteful Big Red logo smack dab in the center. It’s also safe to assume that there is an additional Verizon logo on the backside, as well as a 4G LTE logo. Stay classy, Verizon. No exact confirmed specs are known, but it is a safe bet to say that the One Remix should feature nearly identical specs to the One Mini 2. Keep in mind, however, that this body looks somewhat plastic in comparison to the Mini 2’s metallic body. Specs could include a 4.5″ HD display, 13MP rear-facing camera, Snapdragon 400 processor, 1GB of RAM, and more than likely Android 4.4 “Kit Kat” with Sense 6 on top. It doesn’t sound like too bad of a little phone, but there are so many options out there. We will keep you posted if more info hits.